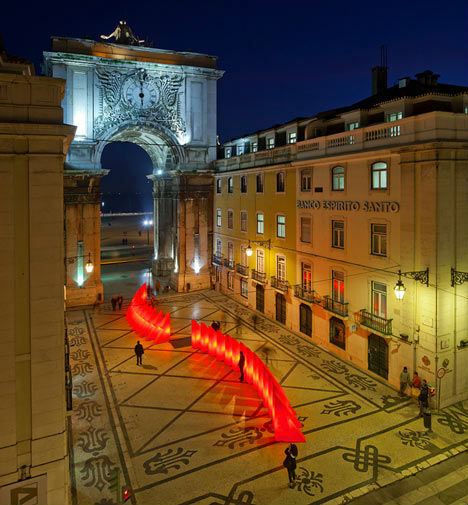 The city of Lisbon, Portugal proved this year that a little creative thinking can overcome budget hurdles so that holiday light displays are just as festive as ever. 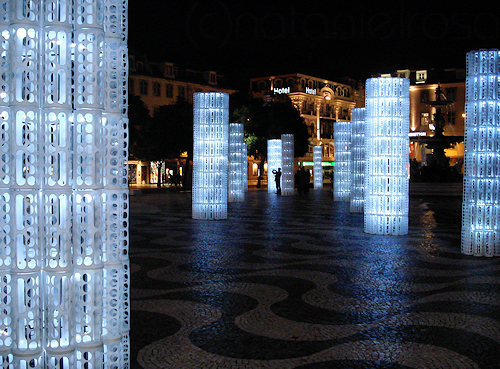 Lisbon is known for its spectacular annual Christmas lights, which change every year. While the city was unable to put up its 200-foot-tall Christmas tree, the tallest in Europe, it did light up the streets with stars, dominos, fairy lights and a clever IKEA hack with the help of artists, architects and designers. 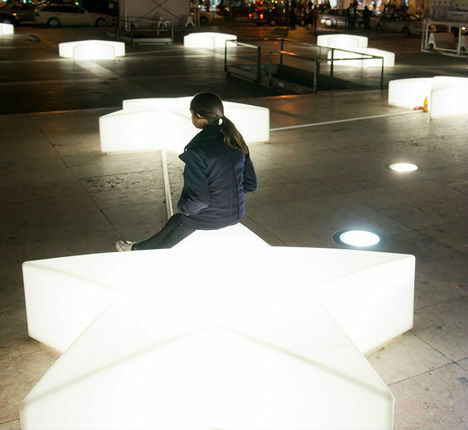 Photographer Fernando Guerra captured a few of the seven installations that can currently be found around Lisbon including these illuminated star-shaped benches in Figueira Square, designed by Pedro Sottomayor. 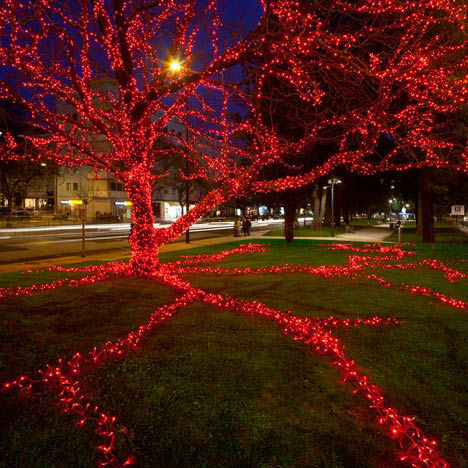 A tree in London Square shines with intense bright lights installed by architect José Adrião. 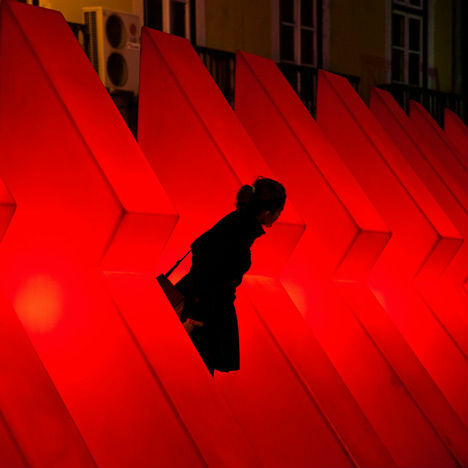 Huge illuminated blocks shaped like sections of a Christmas tree are lined up like dominos on Augusta Street. 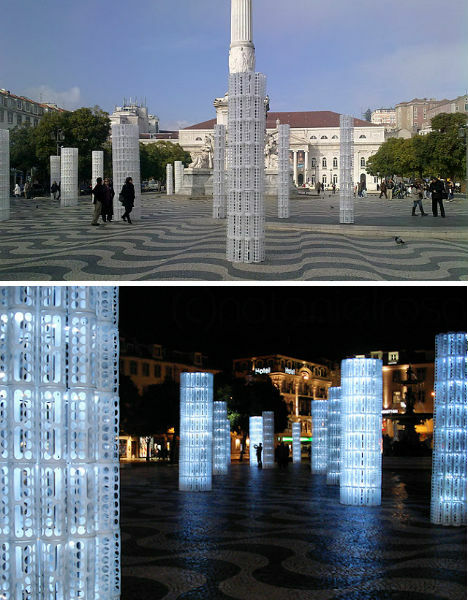 Perhaps most interesting of all is an installation of columns made of a very surprising material: a whole lot of stacked Rationell Variera plastic bag holders from IKEA. 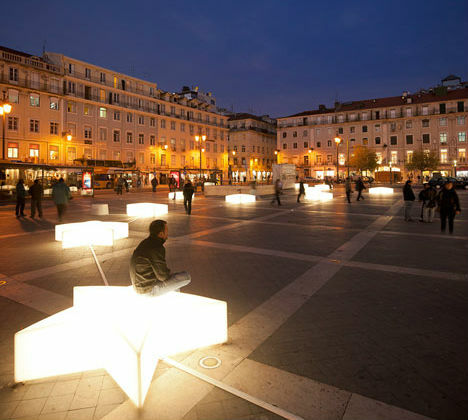 Filled with LED lights and powered with car batteries, the displays are entirely unrecognizable when lit up at night.